Round 6 of the 2009 World Motorcycle Championship was the renowned Grand Prix de Catalunya, at the Circuit de Catalunya, in Barcelona, Spain. Never, in anyone’s wildest dreams, did we predict what we’d witness on that day. Put simply, it was the best finish to a MotoGP race, in the (at that time) 60-year history of the sport, and is still talked about to this day. 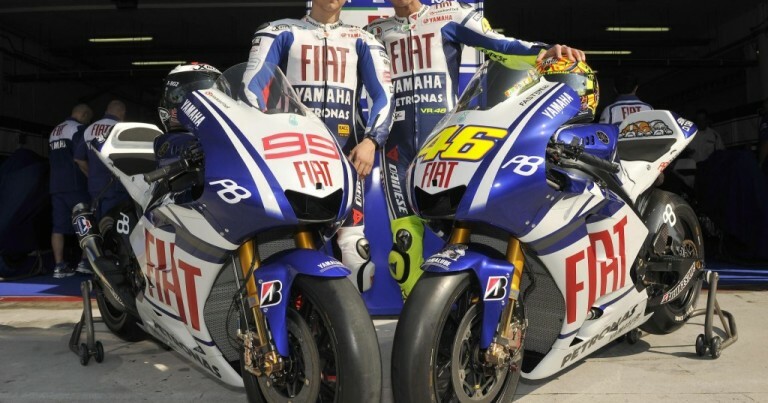 Today, the riders and teams are back at that venue for Round 7 of the 2015 season, six years to the day, that Rossi and Lorenzo wrote themselves into the history books, and to folklore. At the end of that round, the top three in the 2009 MotoGP World Championship, Casey Stoner, Jorge Lorenzo and Valentino Rossi, were tied on 106 points, after having won two races each, to start the 2009 season. This race has special significance for me too. In all the broadcasting I’ve done over ten years, I’ve never called a finish as exciting, thrilling, captivating or spine-tingling as this. The commentary was for 2MCE in Bathurst, just 11 weeks after I started working there on their sports coverage, which included full broadcasts of MotoGP and F1 races. The station works closely with Charles Sturt University, and therefore offer students the opportunity to broadcast their own programming, in their dedicated student time slots (either Weekdays 4-6pm & Every night from 10pm under the ‘Studio 4’ banner), and we were lucky enough to secure the Sunday night shift. People often say that while ever I’m in a commentary box, the great Darrell Eastlake’s commentary lives on, although I have calmed down a bit since this night. Will we see a repeat tonight? Tune in to find out, when the race starts at 10pm on FOX Sports (505) and ONE! Audio | Final 3 Laps, and post-race comments from 2MCE’s Broadcast of the 2009 Grand Prix de Catalunya.